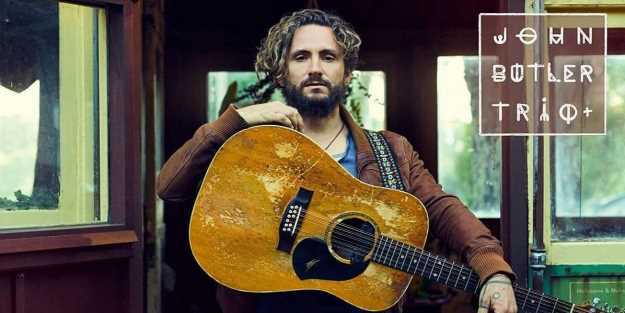 Australian roots-rock star John Butler is playing in Nelson in March, supported by Trinity Roots, L.A.B. and Fly My Pretties. 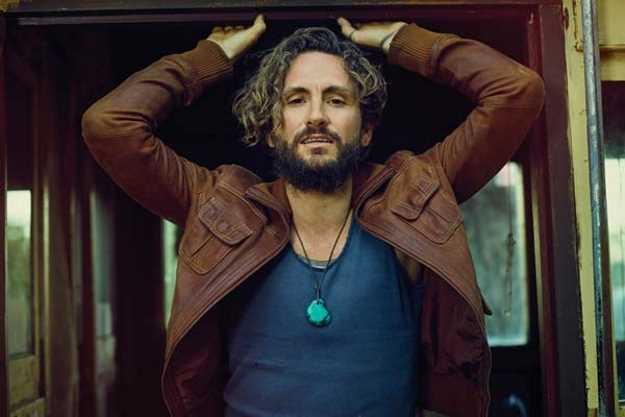 John Butler of Australian band, John Butler Trio, is one of best loved indie roots-rock musicians to come out from across the ditch. John Butler is a long way from home. 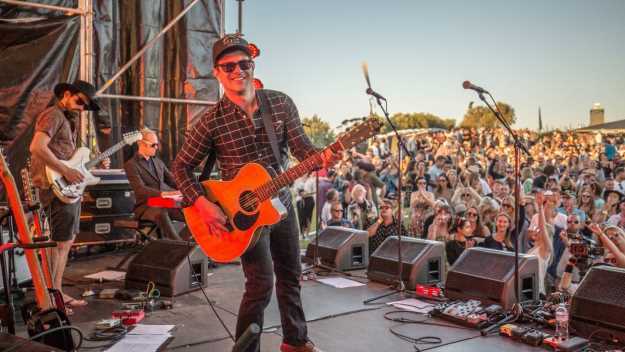 Australia's best loved indie roots-rock musician is used to the punishing heat of Western Australia. Where he comes from, the sun beats down like a hammer on all manner of desiccated humans and peculiar wildlife: kangaroos and koalas, goannas and platypuses, umpteen poisonous spiders and snakes. But today finds him in colder climes, with different critters for company. Butler is shivering his way through the land of snow owls, caribou, black bears and arctic wolves, on tour in Canada during early winter. His mind, meanwhile, is back on this side of the world. In Nelson, as it happens. The John Butler Trio is booked to play here in early March, supported by New Zealand bands Trinity Roots, L.A.B. and Fly My Pretties. But Butler's touring schedule is so hectic, he thinks he might have already done the gig. "Hmmmm... Nelson.... " he says into his cell-phone from Montreal. "I thought I'd played there already! No? OK, well, I must've just seen it on the calendar at home. I'm doing so many gigs at the moment ..."
Fair enough. And here in Nelson, there's no shortage of gigs happening either. 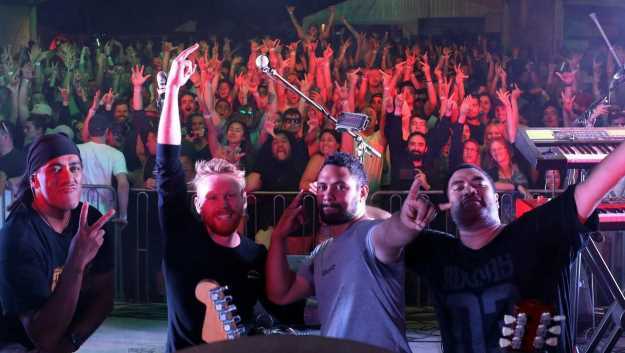 We're in the midst of an unusually active period for music events, with an almost unprecedented influx of live music washing through town from around the country and overseas. UB40 and Bay Dreams at Trafalgar Park, The Chills and Finn Andrews of The Veils at the Playhouse, old-school metalheads Devilskin and Blindspott at the Trafalgar Centre, Fat Freddy's Drop and Marlon Williams at Neudorf Vineyard, the Tahuna Roots reggae festival, with The Hollies and Bryan Adams also passing through in coming months. And now, a roots music festival of sorts, with this Australian star sharing the stage with a host of top-shelf local talent. "I'm looking forward to getting there and making some good music," says Butler, once he realises he hasn't already done so. "And it's a great line up. I love Trinity Roots, and we played with them one time, down near Kaikoura, I think. And I love playing live. I feel like making people feel good is my job, which is a great sort of job to have. If you can give everyone in your audience the chills, even just once during the night, then you're doing something valuable." Butler's seventh studio album Home was released earlier this year to strong reviews. It's an unusually honest album, with songs about life, love, family, male ego and Butler's own struggles with anxiety. "I went deep into my own baggage and wrote about some things I couldn't run away from any more," he says. "I needed an emotional upgrade. If you don't upgrade your phone, it dies, and if you don't emotionally upgrade yourself from time to time, you stagnate and rot. I had to explore the emotional landscape I was going through, and it all came out on that record. "Once the concept for a song comes to me, I just try to serve that song. Does it need more or less of my own life in there? Does it need double bass? Should we add some programmed drums? It's like- OK, what do I need to do to keep this song happy?" Some of the songs themselves, however, are gloriously sad. The lead single on Home is a raw country-rock break-up ballad called Tell Me Why. "Yeah, that was written on the road, which is where I seem to spend most of my time. I'm a happily-married man, but all marriages take a serious amount of work, so I thought I'd explore those common struggles in that song. I transposed myself into a character who'd just walked out of the house and ain't coming back. "It's a song about not being able to fix something you think is broken, and we all have those feelings from time to time." 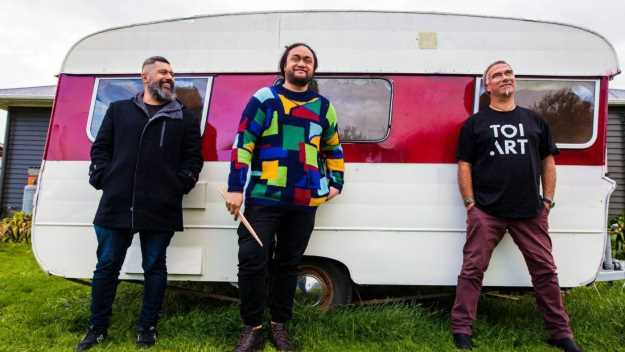 All three of the bands supporting Butler's Nelson gig have released music via NZ independent record label, LOOP Recordings, who co-organised the tour. 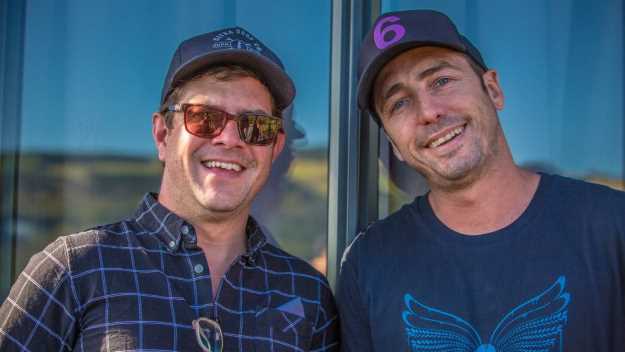 "Working with the team at Showcase Nelson to bring this to Nelson is a real privilege," says LOOP's head honcho, Mikee Tucker. "And I think it's the perfect place for this epic day out, particularly with the new work that's been put into the Trafalgar Centre to make it a world-class venue." The timing just felt right for such a gig, reckons Tucker. "John Butler Trio are a perfect summer act, and the last time Fly My Pretties played in Nelson it was one of the best shows of that tour. 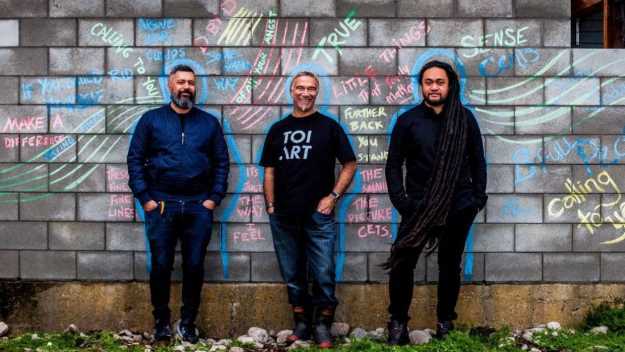 Trinity Roots are celebrating nearly 20 years as a band and are still one of the most powerful and affecting acts in NZ. And L.A.B. 's new album is going to be one of the albums of summer." L.A.B. last played in Nelson at last January's ill-fated Out Of The Blue festival, playing in the drizzle at the disappointingly underattended event. "We still had a great time, and the people who came along were enthusiastic," says L.A.B. 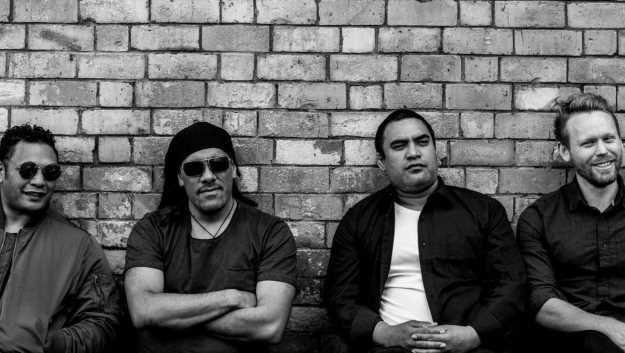 lead singer Joel Shadbolt, his band a local 'roots supergroup' of sorts containing former members of Kora and Katchafire. "But this new show has a serious line-up, so we better bring our A-game, right? "The featured bands have all been influenced by reggae, blues and funk, so I guess soul music of various kinds is the common thread. But we all take it in different directions, too. 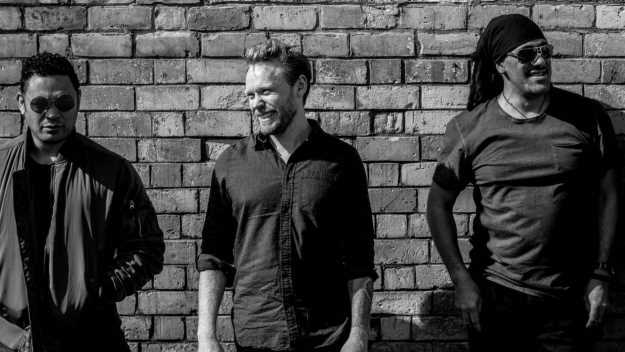 The boys from Trinity Roots definitely get quite psychedelic, and Fly My Pretties includes great musicians from all across the local music spectrum." And L.A.B. themselves? They really duck and dive between styles, too. Their second album L.A.B II was released a week before Christmas, and it refuses to slot into any glib genre category. The first five tracks alone are all over the road, like cow-poo at milking time. Rocketship is built around a classic roots reggae bassline. Fashion Dread is a heavyweight funk track in the vein of Parliament or Zapp. They peel out a slinky R'n'B ballad on I Don't Wanna Know, then charge off into some glossy 80s new wave synth grooves and a folkie soul ballad after that. "Yeah, but these things all make sense together, right?" says Shadbolt. "We all come from a roots reggae background, but we figured out at some point that we all love the 80s, too." Shadbolt even admits to a genuine, unironic love of glossy, radio-friendly synth-rock bands like Toto. "Mate, their late 70s/ early 80s albums are so great! There was some magic stuff going on there, when people were first working out how to integrate heavily synthesized sounds with pop, rock and funk. 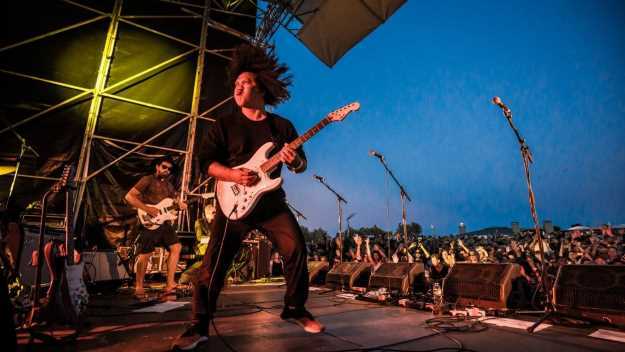 We want to put our own spin on that, and it's great to have such a range of styles when we play live, too, because you can keep switching up the grooves for your audience." The Nelson performance will also feature special guests Fly My Pretties. Their first appearance in Nelson in more than two years will see founder Barnaby Weir leading a 15-strong cast of vocalists and musicians. "We're bringing some of the key old-school players on this Nelson trip," Weir tells me from the smoko room of a Wellington studio. 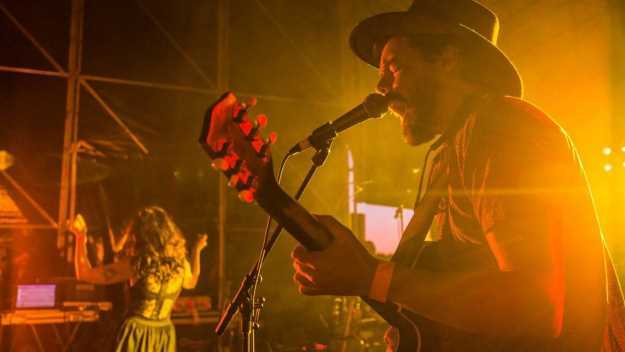 "Age Pryor, Anna Coddington, Hollie Smith, Ria Hall, Lisa Tomlins, and some newer female vocalists like A Girl Named Mo and Bailey Wiley are all coming down, along with some of the guys from The Nudge, Kora and The Black Seeds. It's an amazing range of sounds and skills and talents - we like to keep people guessing." Dreamt up by Weir as a side project to his main band The Black Seeds, Fly My Pretties started out 14 years ago. It was conceived as a way to showcase a revolving cast of musicians at a series of spirited live gigs, with a recording of the best bits from each tour released afterwards as a musical memento. It rapidly grew into a monster. "Yeah, it's been amazing. Audiences have grown steadily over the years, and that's because Fly My Pretties is such a great idea. "New players keep drifting in and adding their own flavours, which means people don't get tired of my own voice or my songs. We on keep changing it up to keep it fresh, and a lot of the people who've passed through our live shows have gone on to forge their own really grunty solo careers." It's a cross-section of key FMP players will be here for the Nelson show, playing many favourites that haven't been performed on stage for years. The following day, John Butler Trio, L.A.B. 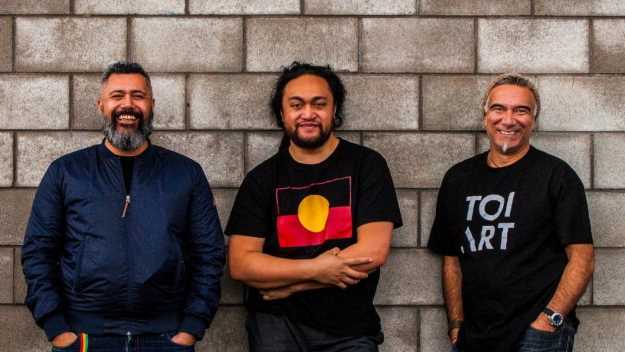 and Trinity Roots will fly north for a second show at an Auckland vineyard, but not Fly My Pretties, who are in the midst of recording their first studio album. "The initial idea was to record live albums during each tour and play in intimate theatres. Now we're suddenly doing the opposite, doing a lot of big live shows outdoors in wineries, and making a studio album! We've been recording for the past three weeks, and it's going really well. It's great to be able to choose the best songs from across the band's long live career and finally lay down definitive versions in the studio." Weir feels blessed, he says, in that there's an unusually rich back-catalogue of tunes to choose from. "There are around 68 songs across the six live Fly My Pretties albums, featuring more than 50 players, and we're also recording some fresh songs nobody's heard yet. A lot of the earlier songs have really evolved after playing them live, too. "It's 14 years since our first album, so we should be a lot better at what we're doing by now! And people who come along to this Nelson show will be able to see that for themselves."